Halva is a dessert on its own, and we usually eat it during a fasting period. It’s main ingredient is sesame seeds but I will not comment further because honestly, I do not know how I can make one. Greek halva is excellent and I believe you can find it in all big supermarkets. This dessert will participate in “Creative Concoctions #5”, an event which is held in Kopiaste.. to Greek Hospitality. Below you can find the tutorial video with photos on how to make this dessert. It is easy to make, give it a try... I prefer having it with a cup of coffee... Enjoy!!! Below you can find the full recipe with step by step instructions on how to prepare this dessert! 1) Mix flour with yeast, salt, sugar and cinnamon; add olive oil and mix with a spoon. 2) Pour water and make a dough that do not stick on hands; allow to rest in a warm place for at least 30 minutes. 1) Mix all three ingredients in a bowl. If the filling is stiff put it in the microwave for 30 seconds just before you use it. 1) Line an oven tray with a non stick baking sheet . 2) Using a rolling pin , your hands or a water glass, roll the dough into 0.50cm thick. 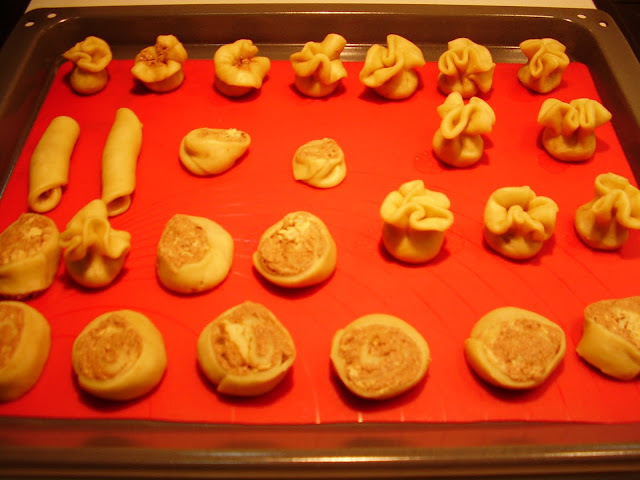 3) With the help of a glass cut the dough into small circles, or any other shape that you like. Place a teaspoon of the filling on the pastry and then fold the sides in such a way to form a pouch. 4) Lay the pouches on the oven tray, leaving 2cm distance between each other and set aside for 20 minutes before baking. 5) Bake in a preheated oven at 170C, for 25 minutes. 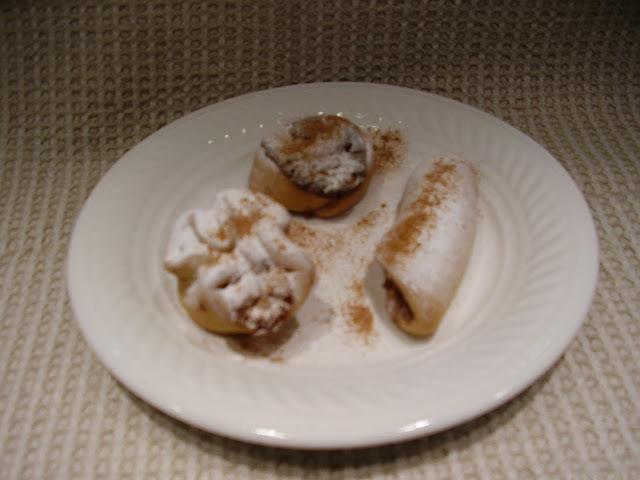 6) Allow to cool; Dust icing sugar and cinnamon powder just before serving. Halva is really tasty. I was eating it a lot when I was younger. Yum! These look like wonderful little treats. I can see my kids eating them all up before anyone else would have a chance! These look so yummy! I wish I could have some now with my cup of tea! :-) You have a very nice blog! They look delicious! I wonder how they are minus cinnamon - allergic! Lovely blog! I love Halva, and love your pastries! I've just made sort of candies with halva a few days ago. These treats sound and look really good. You certainly got me interested in finding out more about Halva. I don't think I've tried these but they look great! These look so good! I want to try them! Tasty treats!!! Thanks Eftychia for sharing this very interesting Halva recipe. Yes with coffee this is delicious. Love sesame seed too. These look fabulous! Love Halva! And…oh would I love to try making these.